Bollywood action hero, Tiger Sheroff will be seen to the people in the guise of desi hero. 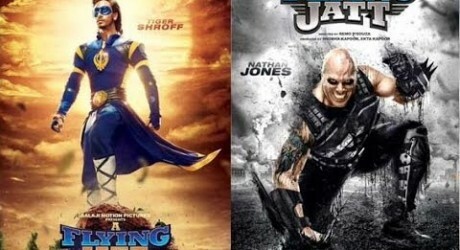 The video of the new song of new action movie of Bollywood, ‘A Flying Jatt’ has been release, which is shot on Tiger Sheroff. The song, ‘Toota Jo Kabhi Tara’ was shot on Tiger Sheroff and Jacqueline Fernandez and it is sung by Atif Aslam and Sameedha Karmahi. The lyrics of the song were written by Parya Saraiya. Remo De Souza is the director of the movie and the story of the movie is moving around a desi super hero, who came out of the home to save the world from destruction. Ekta Kapoor and Shobha Kapoor are the producers of the movies and in this movie, Tiger Sheroff and Jacqueline Fernandez are performing the leading role. In other cast of the movie, Australian cricketer, Nathan Jones, Amrita Singh and Amreeta Puri and others are included. This movie will be released on the cinema houses on 25 August.